Under the bonnet is one of four engines including the SKYACTIV-D 1.5-litre, a brand-new low compression clean diesel producing 77kW/105ps and maximum torque of 220Nm while using only 3.4l/100km of fuel for CO2 emissions of 89g/km*. 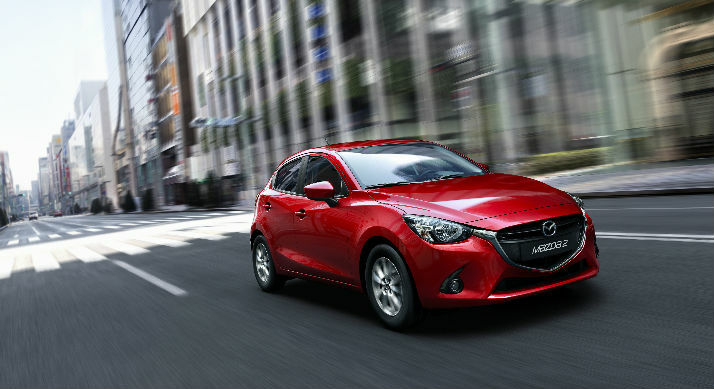 The all-new Mazda2 will also be offered with the petrol-powered SKYACTIV-G 1.5-litre in three variants producing between 55kW/75ps and 85kW/115ps. They deliver fuel economy and CO2 emissions figures ranging from 4.5-4.9l/100km and 105-115g/km*. Power is transferred to the front wheels via five- and six-speed SKYACTIV-MT manual transmissions as well as a six-speed SKYACTIV-Drive automatic. All are newly developed compact, lightweight versions of the acclaimed gearboxes offered on other new-generation Mazdas. Mazda is taking an unconventional approach with its European launch strategy this time around: Rather than concentrating on major international motor shows, the company is promoting its supermini at a number of regional events. For example, prior to the press launch at Mazda Space, the company’s European event hub, the all-new Mazda2 will be on display at the International Film Festival of Rome from 16-25 October at the MAXXI Museum of 21st Century Art. It will also feature at three upcoming motor shows in Zurich (5-9 November), Vienna (14-18 November) and Brussels (15-25 January), before going on sale early next year. ← Mazda CX-5 wins ‘Best Buy’ SUV award from What Car?